Oct/Nov MakeIt NYC: Secrets of Kickstarter Panel Rescheduled « Adafruit Industries – Makers, hackers, artists, designers and engineers! 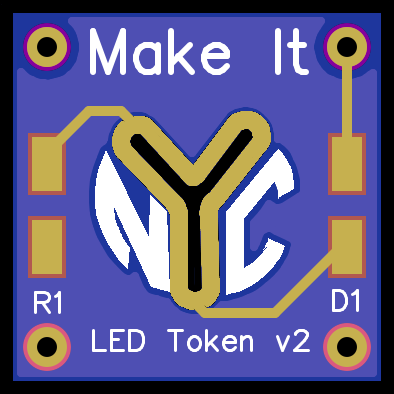 Due to Sandy, the October MakeIt NYC: Secrets of Kickstarter Panel has been rescheduled as an Oct/Nov event on Tuesday, November 27th at 7:00pm, according to the MakeIt NYC Meetup page. While the event is currently sold out, they are looking to switch to a larger venue once power comes back on in lower Manhattan. Stay Tuned! MakeIt NYC is proud to present Kickstarter’s own Stephanie Pereira and an all-star panel of Kickstarter luminaries! If you’re considering doing a Kickstarter campaign, or even if you’re just curious to learn some inside ball, don’t miss this! Five successful projects tell you how they did it, and answer your questions, too. What the new changes to Kickstarter mean to them, and to you. Read More to learn of updated panelists and venue details.